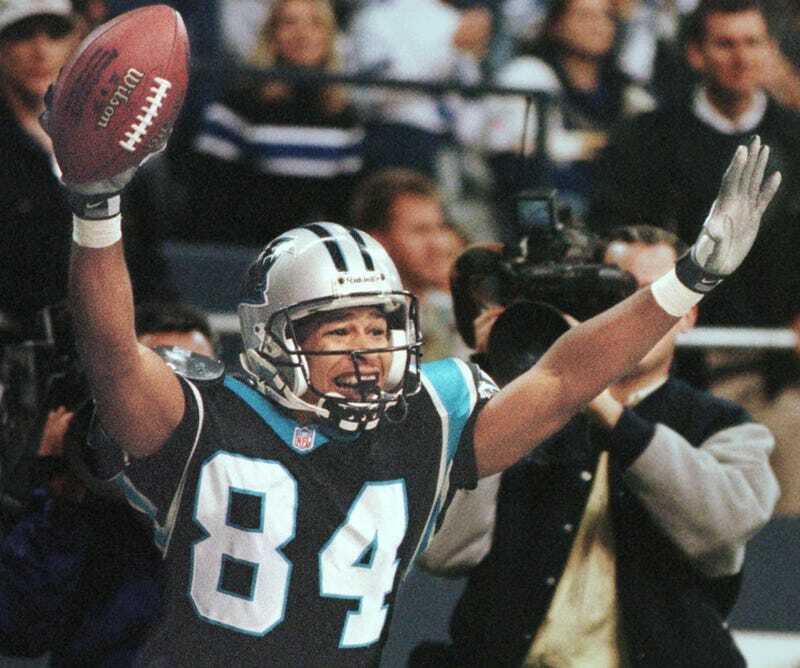 Rae Carruth is still in denial. The onetime promising Carolina Panthers wide receiver was found guilty of conspiracy to commit murder in the 1999 shooting death of Cherica Adams, who was pregnant with Carruth's son at the time. Carruth hired a gunman in order to end the pregnancy because Adams refused to have an abortion. Adams was shot four times and died, while Carruth's son survived but was born with permanent brain damage. Carruth was sentenced to jail, and his son, Chancellor Lee Adams, was sent to live with Cherica Adams' mother, Saundra Adams. Carruth is set to get out of prison in 2018, and Saundra Adams wants his now 17-year-old son, Chancellor—the same son Carruth tried to have killed—to be one of the first people to greet him when he gets out. "Maybe I can just talk to him and tell him some important things about what his son is doing," Saundra Adams told the Charlotte News & Observer, "and where he is in his life." Chancellor has only seen his father once, during a supervised prison visit when he was a toddler, and Carruth has never tried to contact either his son or Saundra Adams, the News & Observer reports. But Saundra Adams says she wants Carruth to know that she forgives him even though he has maintained his innocence throughout his time in jail. In a 2015 interview with the Charlotte Observer, she told the newspaper that she had to forgive him for Chancellor because it was the only way she could offer "unconditional love" to her grandson. "Rae is still in denial about his part in Cherica’s murder. Not that Chancellor would change that. But if anybody were to ever touch Rae’s heart, to make him want to be truthful, I think it would be Chancellor," she said. Saundra Adams believes that Chancellor deserves the opportunity to know his father and hopes that maybe someday they can have a relationship. "That's his father. It’s a part of him. Chancellor wouldn’t be who he is without Rae. I want them to bond, or at least to meet again," she told the Charlotte Observer. If Carruth doesn't want to have a relationship with his son, Saundra Adams says she believes that will be his loss. "He will lose out on the opportunity to know a really great young man," she told the News & Observer. "And to see how hard Chancellor has worked and the determination that he has, I would just hope he wouldn’t reject himself. Because to me, to reject Chancellor is to reject himself. If he does that, that’s on him." Read more at the Charlotte News & Observer and the Charlotte Observer.